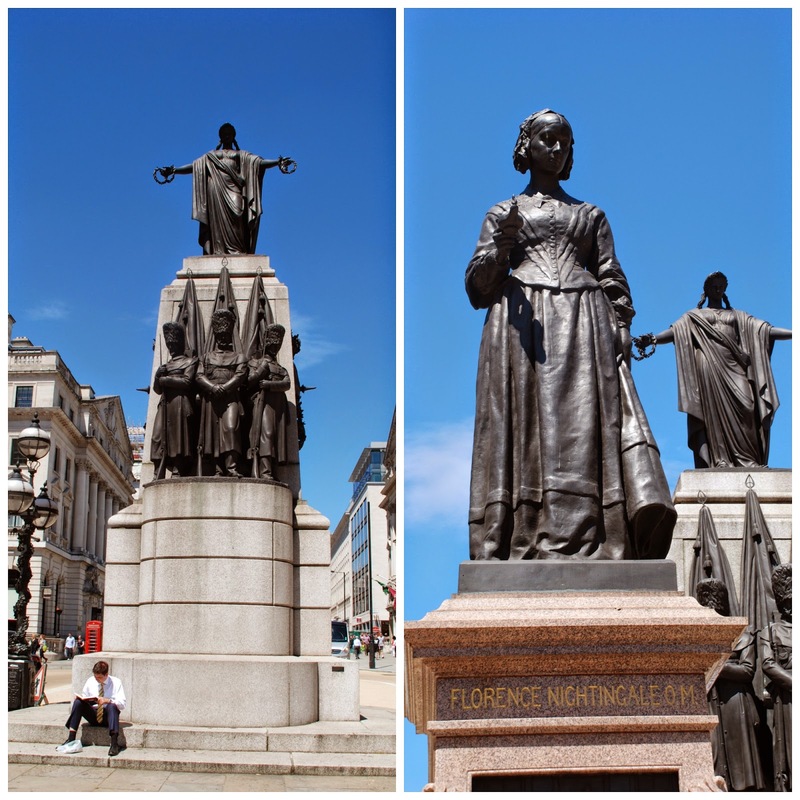 This is the second part of the 7 mile walk around London that showcases the results of a unique collaboration between the Prince Regent, later King George IV, and his favourite architect, John Nash. You can read about the first 3 miles of the walk around Regent's Park here: Walking in the footsteps of John Nash ... Part I.
Nash's brief for this second instalment had been to create a grand royal route that would lead from Regent's Park, with its unique terraces of beautifully pristine villas to the Prince Regent's home, Carlton House, which backed onto St. James's. It was a difficult job insofar as the Prince Regent had a mad enthusiasm for building stuff, which he didn't always have the means to pay for, causing him to amend his plans, change the brief and leave his hapless architect to explain to his ministers why everything was running wildly over budget. In any event we pick up the trail in Park Square East, from where we cross the Marylebone Road into Park Crescent, which funnelled the royal route into the wide expanse of Portland Place from which it would proceed into Regent Street travelling through Oxford Circus and Piccadilly Circus to arrive at Carlton House. Work started on the buildings here in 1806, but, after the builder went bankrupt, they didn't get things finished until 1821. 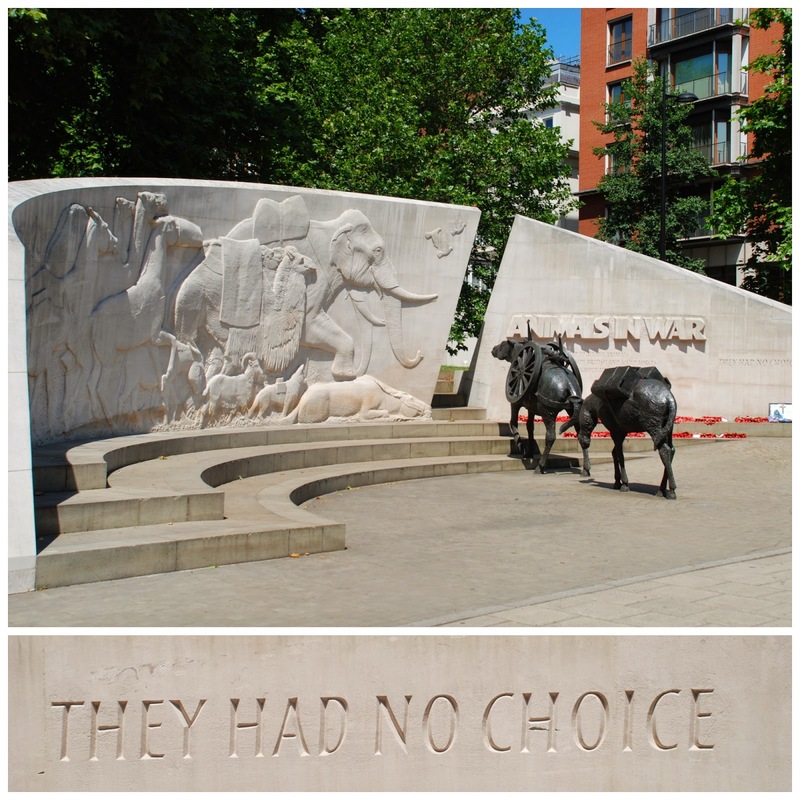 On the garden side of the Crescent, just opposite to the entry into Portland Place you will find a rather splendid water trough that was installed by the Metropolitan Water Fountain and Cattle Trough Association, who were responsible for installing many such amenities throughout the city. The Association grew in tandem with the Temperance Movement and had a penchant for placing their water fountains directly outside public houses to discourage people from entering the publican's premises for a drink or to water their animals. This one tickled my funny bone with its injunction not to use the water for anything other than drinking purposes ... for man and beast and the threat that any other illicit use of the water, which remained the property of the Association, would be prosecuted. What had the good folk of the area been getting up to? Anyway drag yourself past the (now empty) water trough and hang a left into Portland Place. Portland Place had been laid out originally at the end of the eighteenth century by Robert and John Adams for the Duke of Portland. It is one of the widest streets in central London (33 metres/ 110 feet) because of a requirement laid down by Lord Foley, one of the Duke's pre-existing tenants, who had demanded that the new street plan should not interfere with his views. 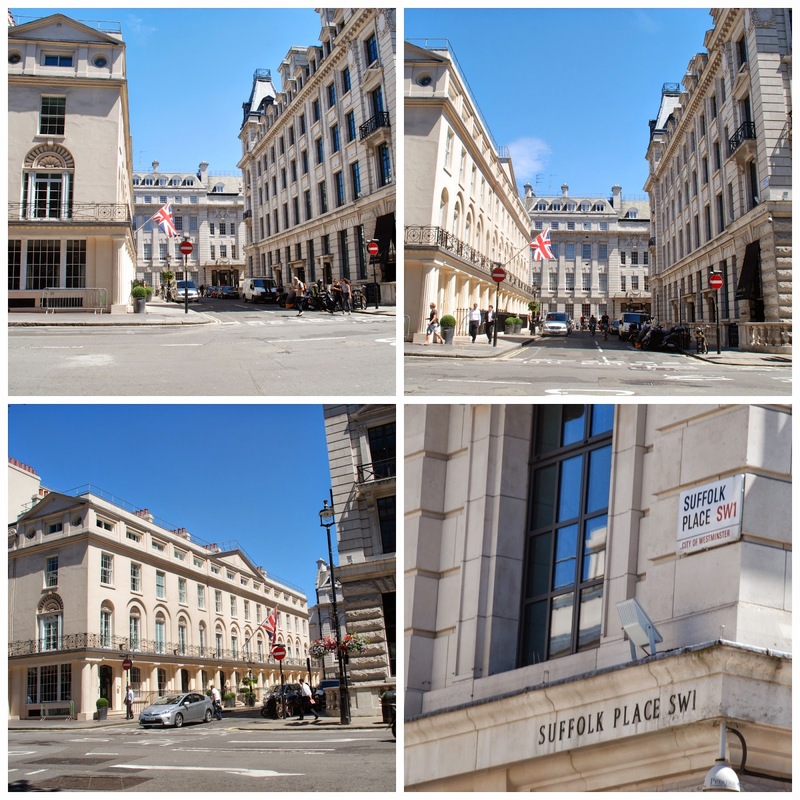 As you walk down Portland Place you will pass the Chinese Embassy, and then the Polish Embassy on your right on either side of the Weymouth Street junction. There's always a silent protest by Falun Gong in front of the Chinese Embassy, but on the opposite side of Portland Place. Outside the Polish Embassy is a statue of General Sikorski, the wartime leader of the free Polish forces. Straight ahead you'll see the imposing bulk of the Langham Hotel, built in the 1860s. In its day it was the largest hotel in town boasting no less than 100 water closets, 36 bathrooms and the first set of hydraulic lifts in England. It's been favoured by the great and the good ever since, and still maintains a five star rating. 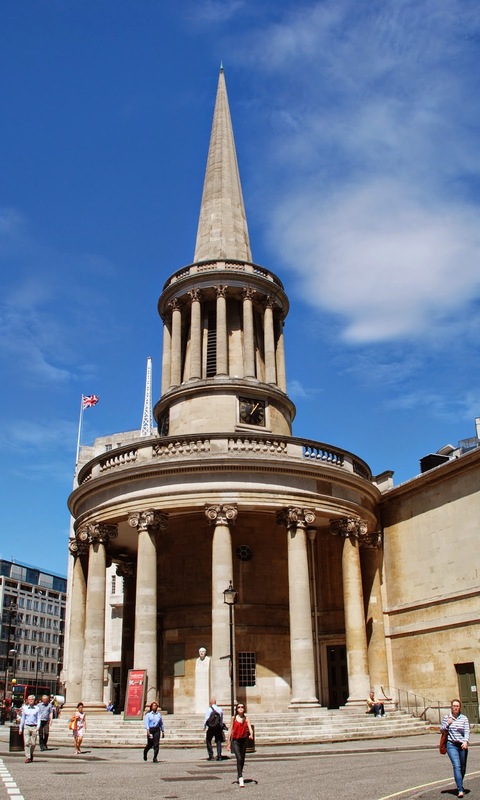 Keep on going and Portland Place will take a turn to the left and lead into Langham Place, where, opposite the side elevation of the Langham Hotel, you'll find the very elegant All Souls Church, designed by Nash and completed in December 1823. It was strategically placed here to catch the eye and distract attention from the bend in the road. 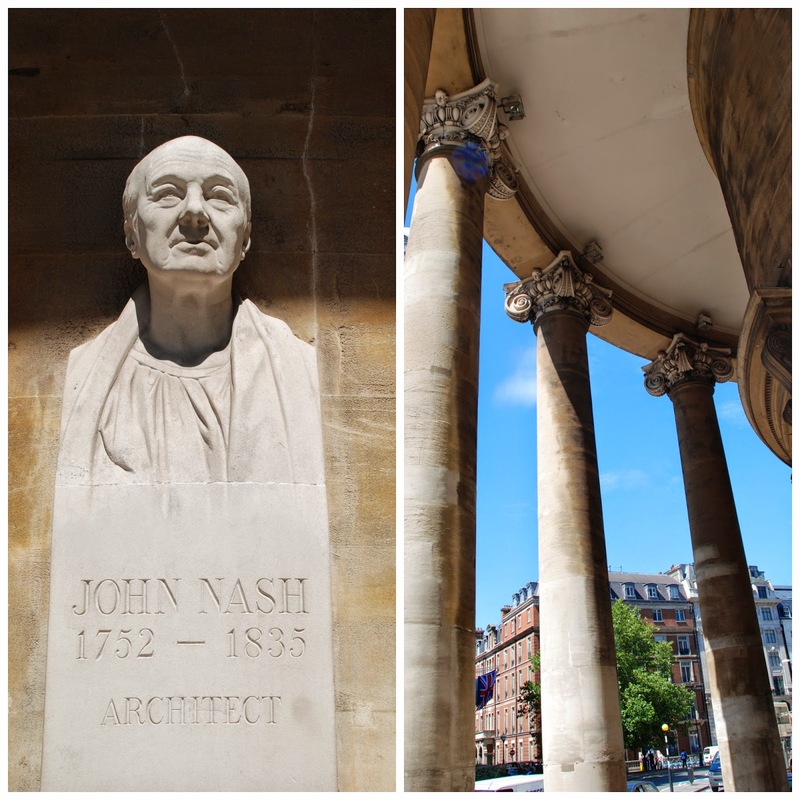 Unlike most of Nash's work in London the church is made from Bath stone. It is the last surviving church that he designed. You can find a bust of Nash in the roofed portico, which some people think resembles a space rocket poised for take-off. I'm not sure what Nash had on his mind when he designed it, but I'd be surprised if space travel featured large in his thoughts. Keep on going and Langham Place will lead into Regent Street. 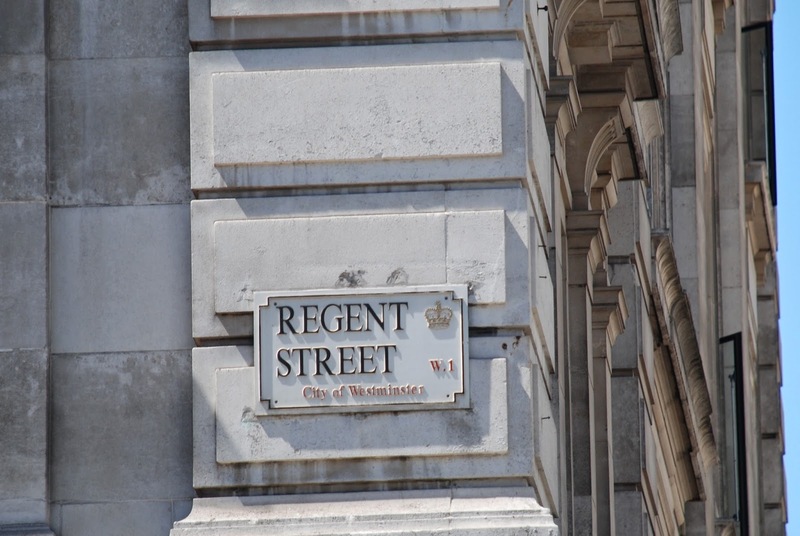 Regent Street, taking its name from the Prince Regent, was intended to provide commercial space for shops and offices. Hence it did not have any terraces or gardens and was more functional in its design. Much of the street was rebuilt in the period 1895 to 1927 when the original 99 year leases came to an end to accommodate the new trend for department stores. 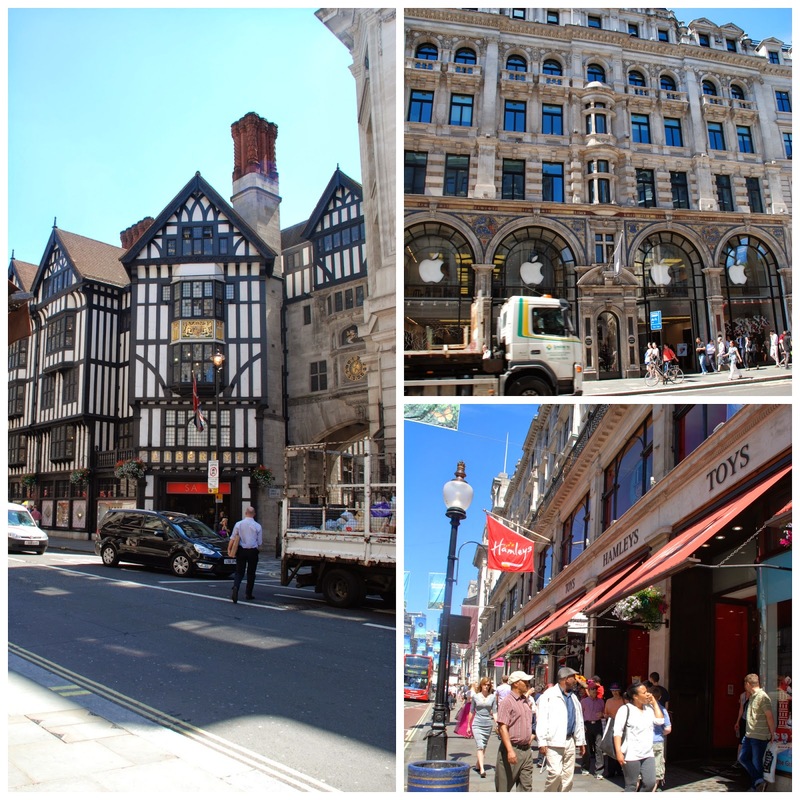 On the section to the south of Oxford Circus, none of Nash's original buildings survive. Carry on trooping down to Oxford Circus. You can do a spot of window-shopping as you go. 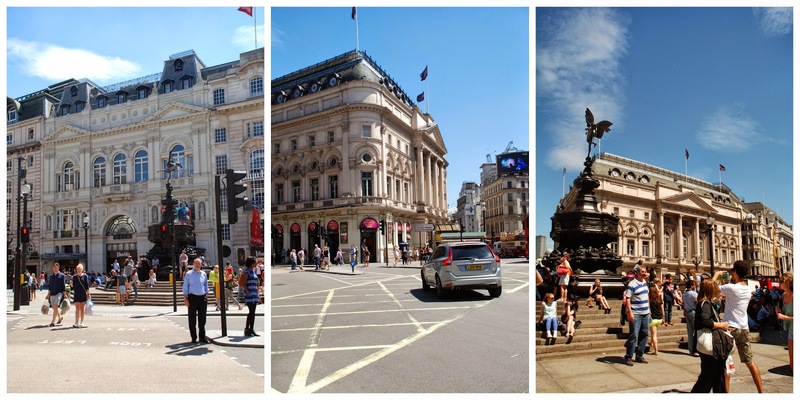 Carry on through Piccadilly Circus, past Eros, and into the lower part of Regent Steet. 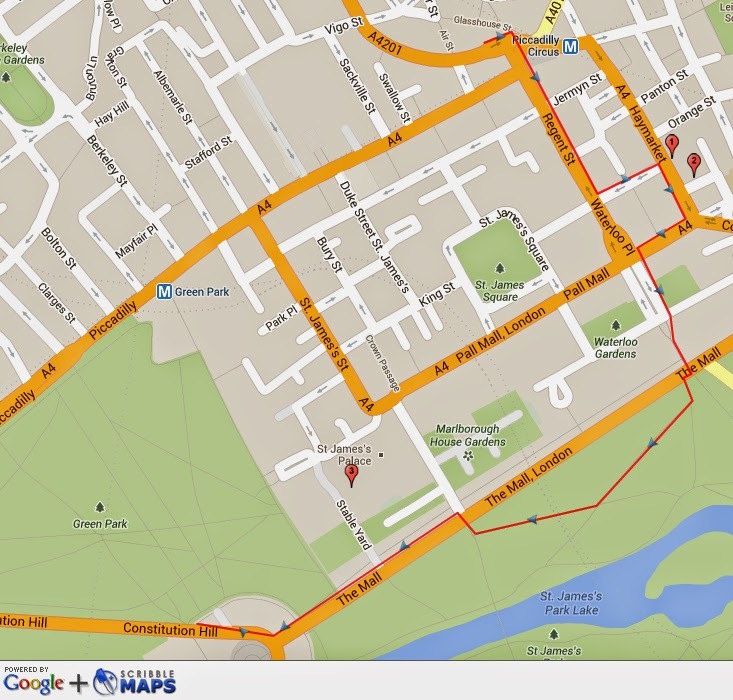 We've now chuffed off the lower part of our last map, so here's another one to show the next leg of the walk. When you get to the lower part of Regent Street watch out for the ghost sign of the old Blue Star Line. This was a shipping company (not to be confused with the White Star Line, owners of the Titanic) that operated a fleet of ships for transporting chilled meat. The company, which was first registered in July 1911, was eventually taken over by P&O Nedlloyd in 1998. 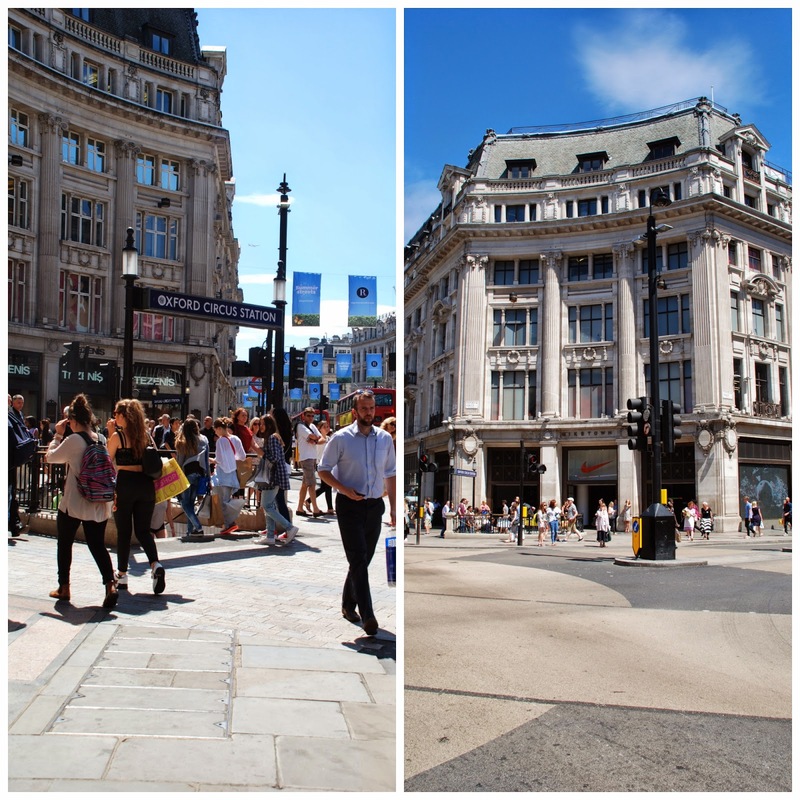 Now let's take a little detour to see some more Nash stuff on the Haymarket: hang a left into Charles II Street and walk along to the Theatre Royal Haymarket. 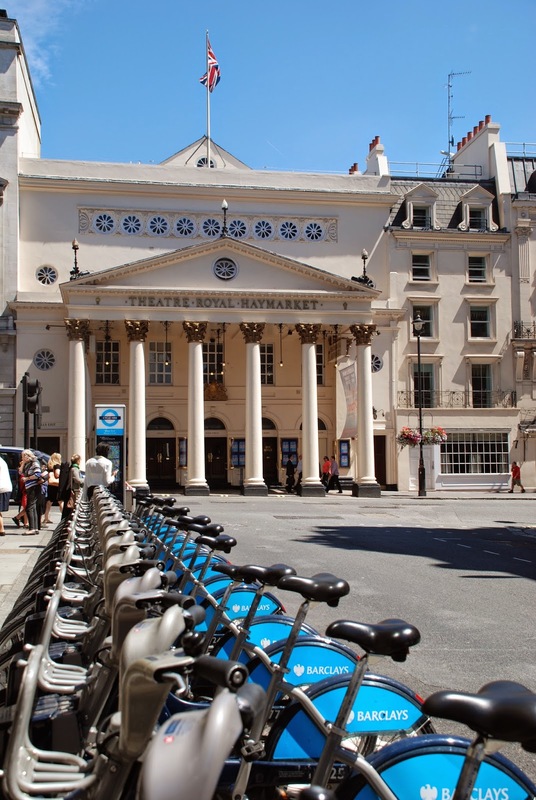 The Theatre Royal Haymarket was redesigned by Nash in 1821. There had been a theatre, a little to the north of here since 1720, but it was moved to this precise spot at Nash's insistence. He thought that it would align better with the surrounding street plan if it were located here. Turn right into the Haymarket and walk down a little further to admire Suffolk Place, which was designed by Nash and built in 1820. 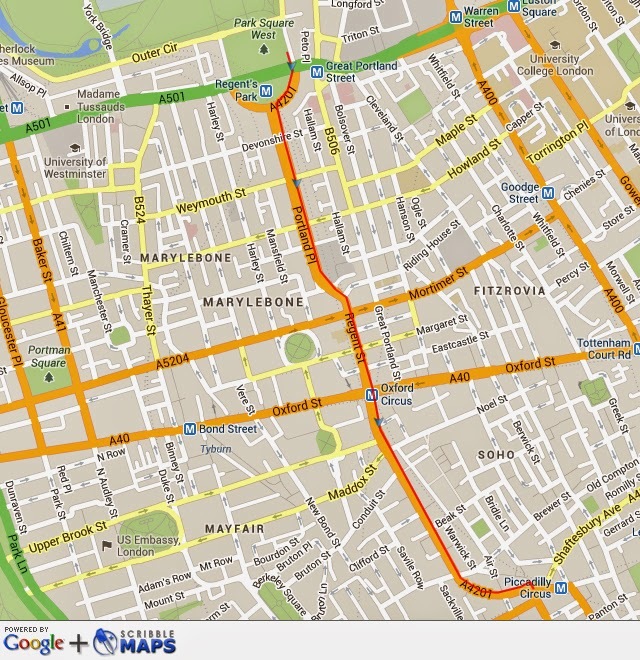 Carry on to the end of the Haymarket and turn right into Pall Mall, which will lead you back to Waterloo Place. Here you will find a slightly grim looking monument to the Crimea, which was put up in the 1850s. Waterloo Place was originally designed by Nash, but, as with the rest of Regent Street, there's not a lot of his work on view any more. He designed the building at 116 Pall Mall (now the Institute of Directors), which sits on the corner of Waterloo Place and was built in 1825 to 1826. It's the one on the left below. Back in Nash's day it was the headquarters of the United Service Club, a London gentlemen's club for senior officers (those with ranks above that of major or commander) in the army and the navy, hence the military frieze around the top. It came to be known colloquially as the Senior, as in the senior officers' club, and was the most prestigious of all the London services' clubs. The Club's premises were later extended between 1858 and 1859 by Decimus Burton, the architect with whom Nash had collaborated when working on Cornwall Terrace, back in Regent's Park. 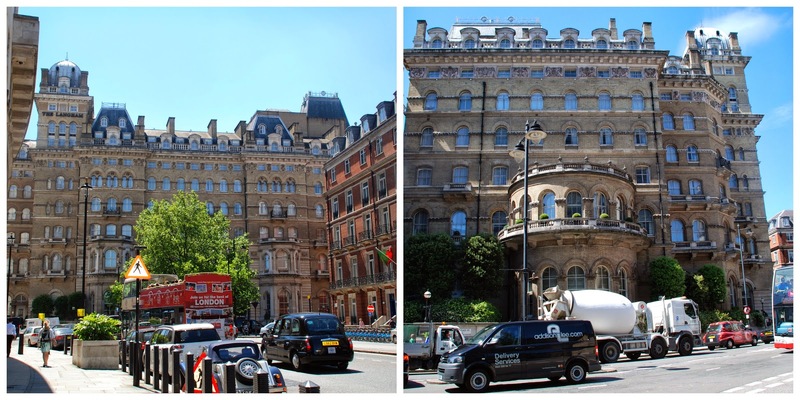 Burton also designed the Athenaeum Club (the building in the photo on the right above) on the opposite side of Waterloo Place in a style similar to that of Nash's United Service Club across the way. The frieze around the top of it is a copy of the Elgin Marbles. Waterloo Place was built on the site of the Prince Regent's palatial London home, Carlton House, which had originally been the intended destination of this grand royal route. Prince George, as he then was, had been granted Carlton House in 1783 along with the very tidy sum of £60,000 to refurbish it. He retained Henry Holland as his architect and the whole thing ran way over budget (a recurring theme with the Prince's building projects). The prince was forced to go, cap in hand, to his father for more money to finish what he'd started. After some extended grovelling and much agony further funds were granted and he was able to finish the project ending up with a very opulent dwelling that ought, on any proper reckoning, to have been considered a palace. However, on becoming King in 1820, George decided that Carlton House did not meet his regal requirements. Neither did his official residence at St. James's Palace nor his father's residence, the old Buckingham House. Having abandoned the idea of a grand new palace in Regent's Park he finally decided that, rather than renovate Carlton House, he'd engage Nash to develop Buckingham House into his dream palace. This grand plan was clearly going to be expensive even by George's standards, and there was only so much money that the Prince could extort from his ministers so he hit upon the plan of demolishing Carlton House, re-using some of the materials in the Buckingham House project and re-developing the plot on which it had once stood for a profit. 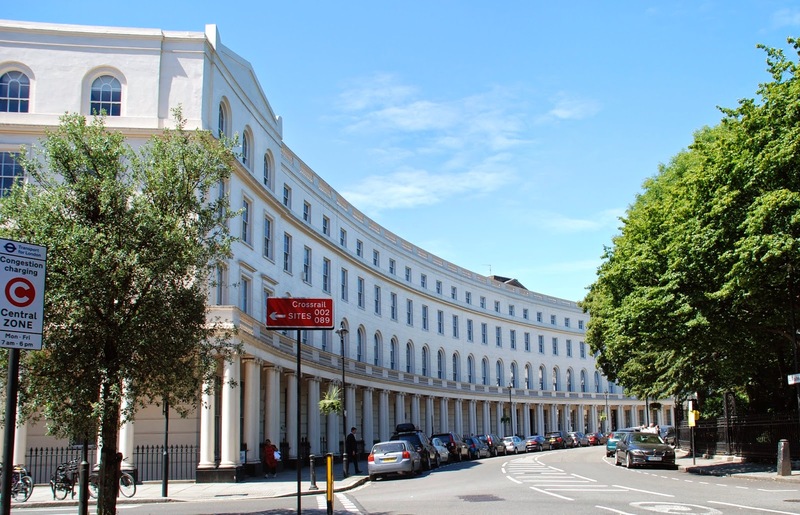 In 1824 Carlton House was duly demolished and two grand white stuccoed terraces of expensive houses were built in its place and leased for eye-watering rents. The proceeds of this development were fed into his great project at Buckingham House. Today these houses form Carlton House Terrace. Now carry on down the Duke of York steps, which divide the two sides of Carlton House Terrace towards St. James's and the Mall. You will see a statute atop a very tall column. Way up there with the pigeons is Frederick, the Duke of York, who was George III's second son. At a very tender age Frederick was sent off to be a soldier and later, at the age of 32, he was made Commander in Chief of the British Army. A number of military set-backs ensued. People wondered whether they had arisen because of his lack of moral maturity. Whatever the way of it they were the inspiration for the satirical rhyme about The Grand Old Duke of York, who marched his soldiers aimlessly up and down the hill. 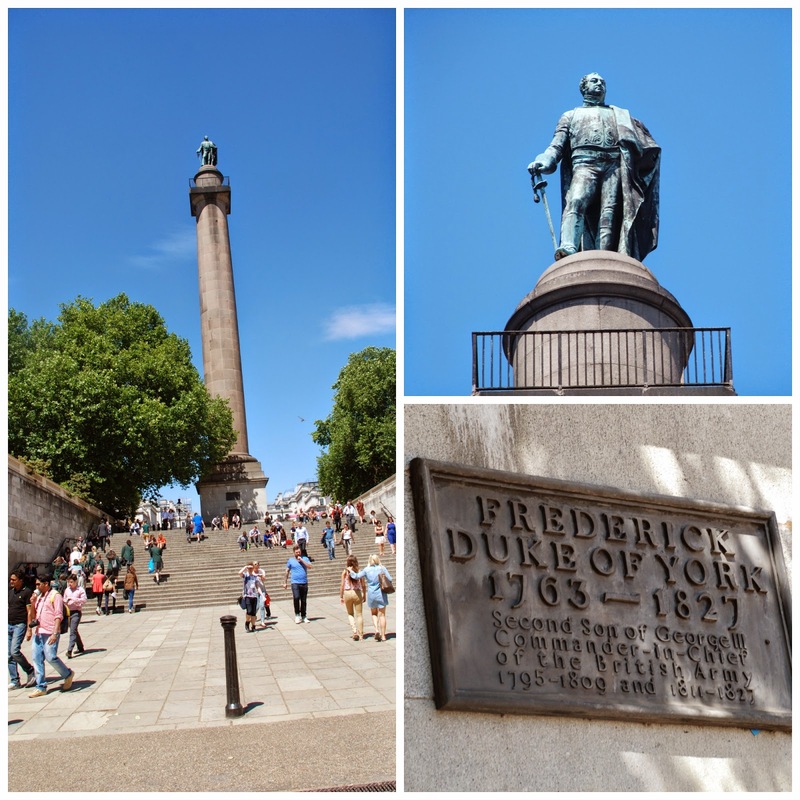 The statue was built to celebrate the Duke's life and achievements after he died in 1827. The army top brass decided that everyone in the ranks would forego a day's pay, which would be applied to the construction costs of the monument. Needless to say this was not a universally popular plan. Anyway, I'm digressing; go down the steps, past Frederick, Duke of York, and into the Mall. 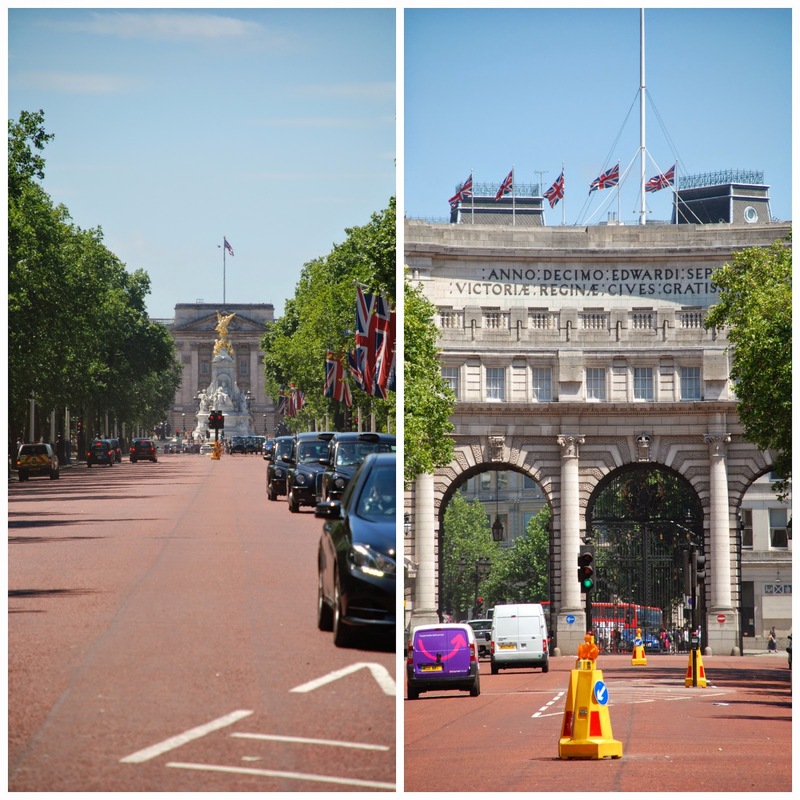 As you cross the Mall you will see Buckingham Palace to your right and Admiralty Arch to your left. Enter St. James's Park and walk along in the general direction of Buckingham Palace. Exit the park at the Marlborough Road lights, and cross the Mall. Walk along the Mall to Buckingham Palace. Unfortunately we can't see much of Nash's work from the outside. In Nash's day the palace was in the form of a U shape, but the present front facade, or East Wing, was built across the open mouth of the U to close the inner courtyard and has obscured Nash's handiwork from public view. Now if only Her Majesty were to invite us in for tea or to one of her very splendid garden parties then we'd be able to see the great man's design in what is now the inner courtyard and the western facade of the building. Poor old Nash got into no end of bother over his involvement in the Buckingham House project. He strove to achieve the French neoclassical look that George was so keen on, but by 1829 they were so far over budget that he got fired. An original estimate of £252,690 (about £33 million in today's money) had grown to a revised estimate of £469,169 by 1829, whereas a reckoning of what it had actually cost up to that point came out at a cool £613,269 (£80 million odd in today's money) ... and the building was still not finished. George died the following year, and his brother (William IV) hired Edward Blore to finish the job. Nash was dragged in front of a special inquiry that was set up to find out where all the money had gone. George had been clear that he wanted Nash to be given a knighthood, but the new regime was having none of that and he was destined to remain plain old Mr Nash for the rest of his days. Whilst we're in this neck of the woods you might like to take a detour to see Clarence House, designed by Nash for the Duke of Clarence (later William IV) and built 1825 to 1827. It is now the official London residence of the Prince of Wales and the Duchess of Cornwall. It's just up Stable Row, but access is tricky unless you've got a ticket to do the tour of the house during the month of August when it opens to the public. As it wasn't August and as HRH hadn't sent me a personal invitation I was hard-pushed to get a photo of the place. A very nice policeman pointed me in the direction of another, very different building and didn't mind at all if I wanted to take a photograph or two. I'm guessing he was having some fun at my expense ... either that or he really ought not to have been entrusted with the task of guarding HRH and the Duchess. Anyway here's another map to help you on your way. Now push on past the very magnificent Canada Gate, up Constitution Hill to Duke of Wellington Place. 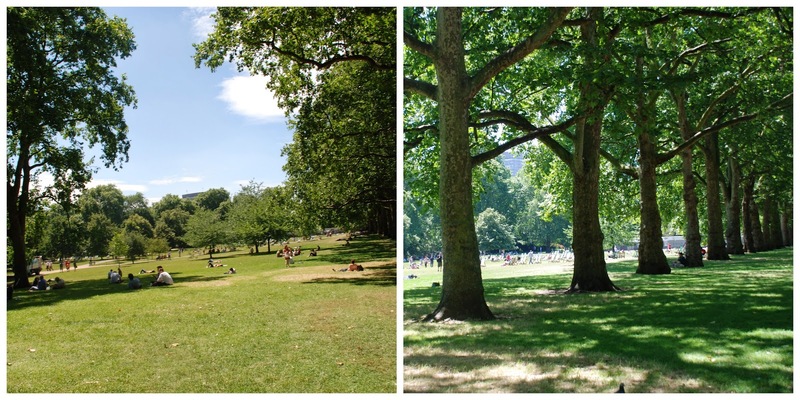 You can even take a little frolic into Green Park if you like. Cross Duke of Wellington Place, and admire the Wellington Arch, built to commemorate Britain's victory in the Napoleonic Wars and Apsley House, the London residence of the Iron Duke, the Duke of Wellington, victor of Waterloo. In the old days it had the best address in town: Number One, London, anyone? Head off down Park Lane. We're entering the final furlong now; not much further to go! 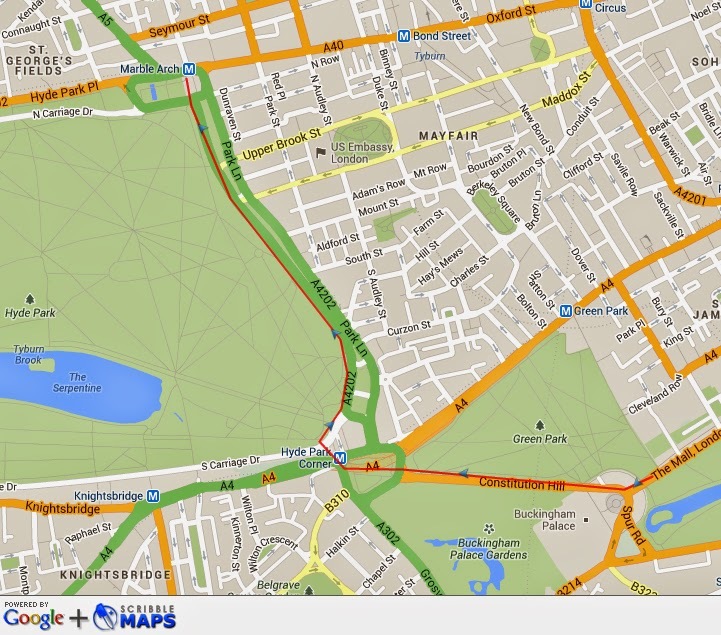 You've got Hyde Park on your left and the busy West End traffic belching out fumes on your right ... lovely. Half way along on your right you'll see the memorial to the animals who've died in war. Being a bit of a softy when it comes to our furry friends, I'm always moved by thoughts of the heroic army dogs and horses who've been enlisted over the years. A little further along you'll also pass Speaker's Corner, where all sorts of opinionated types hang out on Sunday mornings to shoot the breeze. And there, at the end of the road is Marble Arch, designed by Nash as a grand triumphal arch after the fashion of the Arch of Constantine in Rome. They even dug the carrara marble from which it was made out of the same quarry that Michelangelo's David came from. It was originally positioned as a gateway into Buckingham Palace. If you scroll back up to the old image of how Nash designed the Palace you'll see it to the left hand side of the front facade. Queen Victoria apparently didn't like it and asked if they could kindly take it away and put it somewhere else please. And, what with her being Queen and Empress and everything, that's exactly what they did. It was dismantled and moved lock, stock and barrel to where it sits today. And that is the end of our walk. Having covered the whole route on a wonderfully sunny day my trusty hound and I were on our knees by this point, panting for some liquid refreshment and ready for a very large, rather late and thoroughly well-deserved lunch. Such stunning architecture! I love that crescent building. The saying about only drinking the water really is good for a laugh. Thanks for sharing with SYC.